Baroque Encounter has on occasion ventured into the theatrical world of costumed, choreographed and semi-staged productions. Below is one of those productions involving larger forces of performers (both on- and off-stage). These are all available to be revived - please contact us to discuss! 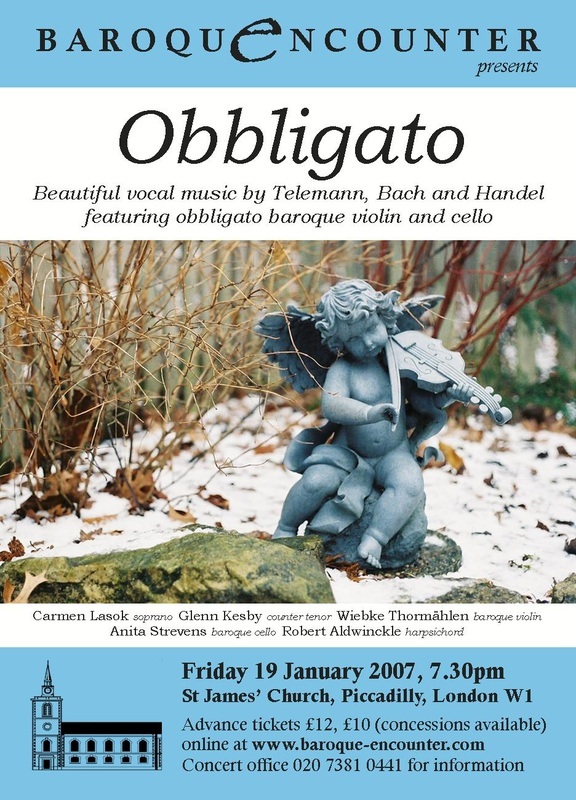 A sumptuously costumed concert of sublime baroque vocal music featuring obbligato violin and cello. The concert luxuriates in examples of baroque music for voices and obbligato violin where the instrument plays an important, and indeed ‘obligatory’, part. The obbligato line is often a virtuosic decoration of the theme and becomes a duetting string voice for the singer but one that is essential to the total effect of the piece. J S BACH - Sonata in G major for violin and continuo (BWV 1021), arias from cantatas 85 and 120, and the uplifting duet ‘Beruft Gott selbst so muss der Segen’.